Qualification : M.Tech in Environmental/Chemical Engineering or M.Sc in Biotechnology/ Microbiology/Biochemistry with a minimum of 60% marks or equivalent CGPA with GATE/NET-JRF. Applicant must have the knowledge and experience to work in the field of wastewater treatment. Applications on an A4 paper giving complete bio-data, recent passport size photograph, email address and copies of relevant testimonials should reach to the Principal Investigator/Co-Investigator by e-mail or by registered post at the address given below before : 15 April, 2018. 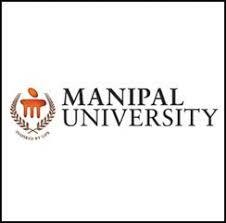 Labels: Central Government Jobs , Jobs in Manipal University.